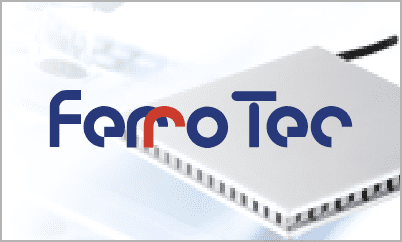 Group Companies : Ferrotec Corporation | Ferrotec Holdings Corporation. Ferrotec Corporation was established as a subsidiary of Ferrofluidics Corporation of the U.S.A. in September 1980, with the aim of developing the market for commercial applications using ferrofluids in Japan. We are now in our 37th year of operations in Japan. As sales in Japan experienced steady growth, we became a standalone entity independent of our US parent company in 1987. 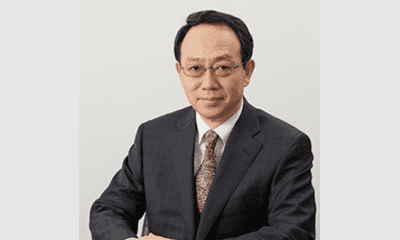 The Japanese company established a manufacturing base in China, and used strategic M&A, including acquiring our former parent company, to strengthen our product lineup and grow the business. In April 2017, Ferrotec Corporation was reborn as a holding company called Ferrotec Holdings Corporation, with the aim of optimizing management, human resources, and investment strategies across the entire Ferrotec group. Ferrotec Corporation is the operating company we have set up to continue the Ferrotec business. It will continue to supply commercial applications of ferrofluids such as vacuum seals, as well as thermoelectric modules, quartzware, silicon parts, power semiconductor substrates, and other products and services produced by our Chinese affiliate, to the Japanese market. The Ferrotec product lineup will not be standing still. We plan to leverage our group company network to expand as a supplier of solutions in areas in which we already have a strong presence, such as semiconductors, flat-panel displays, automobiles, electrics, electronics, and the medical field. We will manage transparently, and contribute to community and industry development to be worthy of your trust and expectations. At the same time, we will be pursuing sustainable growth and increased corporate value, as a company that offers each and every one of its employees the opportunity to dream.